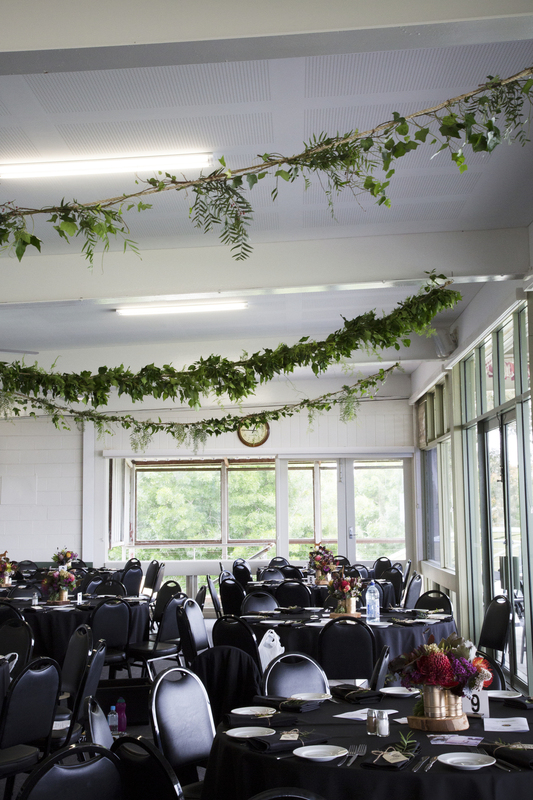 With a tribute to the Australian landscape in-mind; we designed a reception for East Gippsland's VIP's and racing committee members that would make a blank canvas truly come to life as punters watch the race that stops the nation. 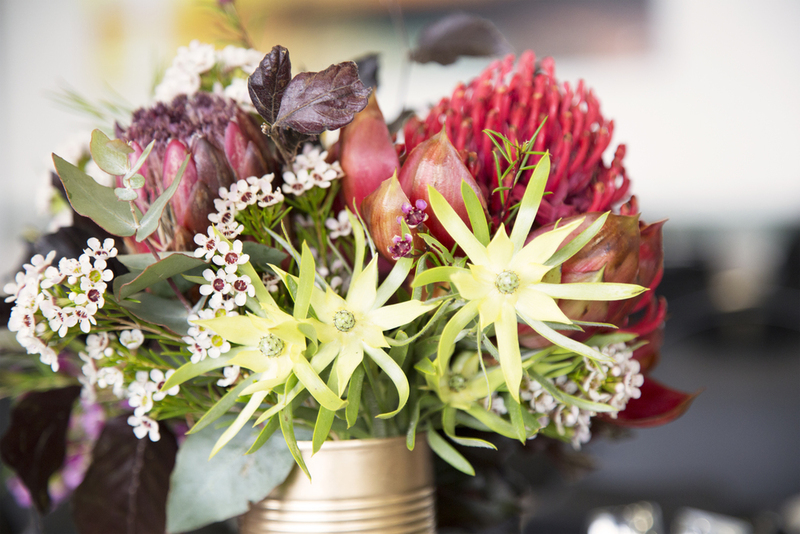 With chic black linens and chairs, the bright centrepieces of native Australian flowers really popped, giving the room a burst of colour. 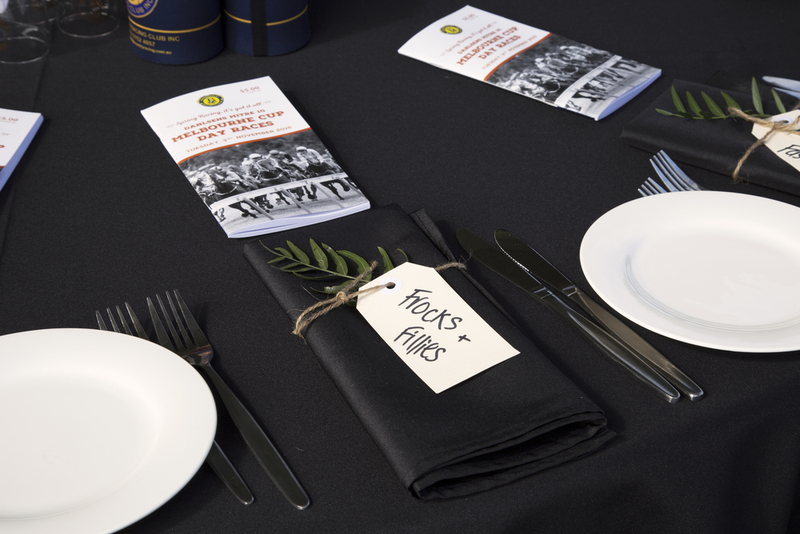 Each napkin featured hand-written tags with Aussie Racing quotes tied with twine. 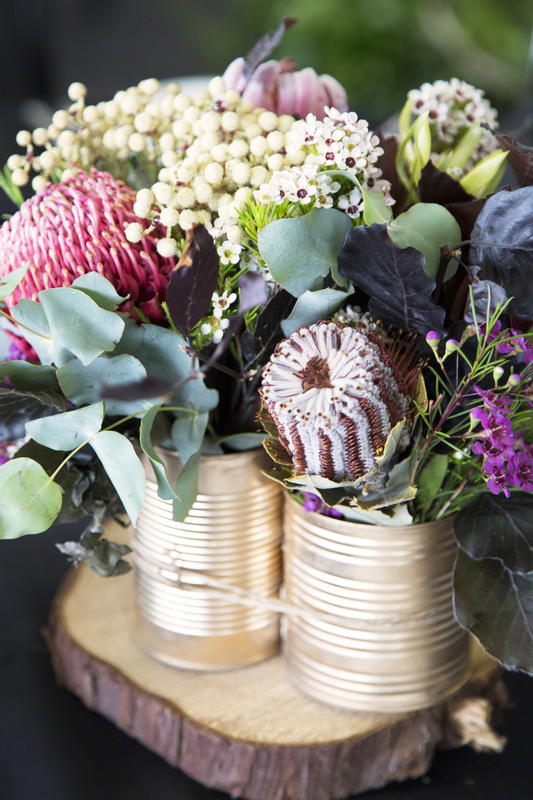 Helping pull together the raw details of an Australian landscape were metallic gold tins as vases, timber rounds for table centres, and cascading foliage garlands upon rope for the ceiling. Outdoors featured similar styling with colourful hand-made fabric garlands for the balcony ceiling to flow in the Spring breeze. A lush media wall was also created to give thanks for the contributing sponsors of the Grand view dining room and Fashions on the field. 85 metres of fresh foliage garlands, 240 hand written napkin tags, 54 tins of floral natives, 30 metres of handmade fabric garlands, 1 Kluger boot FULL of peppercorn foliage, 5 amazing team members to pull it all off in 1 fun filled day. A warm hearted thank you to the Manager and committee for allowing us to weave our magic for an amazing day out. We truly had a blast creating this setting for you and your guests and hope you all backed a couple of winners, too!